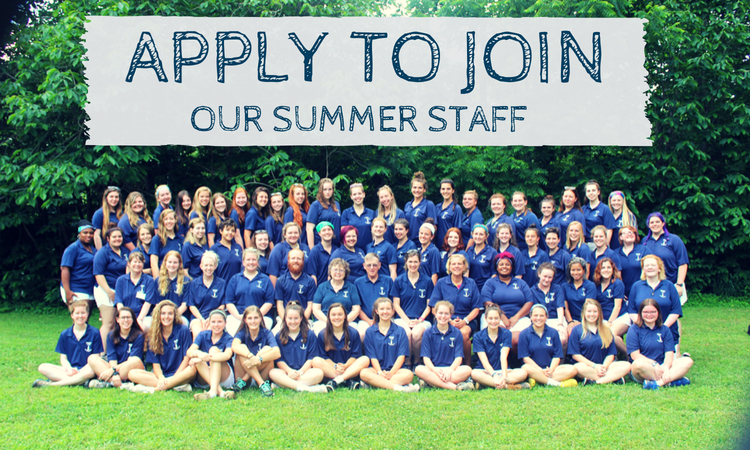 We welcome both returning Camp Alleghany staff applicants (those who have worked here before), and brand new applicants for our many summer staff positions. To really understand what it means to work here, we ask that you choose your area of interest and your level of experience from the job buttons below. Once you click the correct area for you, you’ll go through our staff learning process to understand what is required to work here for your area of interest. After reading through each step, we welcome you to apply. As we fill positions you can see a growing gallery of our Summer 2019 Staff here. If you’ve never worked at ‘Ghany before (even if you were a camper here or worked in a support staff capacity), please click on the button below to learn about what we require, mandatory dates for 2019, and our hiring process. If you’ve been a Junior Counselor or Term Counselor with us previously for an entire summer, please click this button to check out our mandatory 2019 work dates and then follow the subsequent buttons to read updates to our requirements for 2019. If you like what you see, get ready to apply for another summer with us! We’d love to welcome you back! If you’ve been previously employed as a counselor at Camp Alleghany for Girls, and put in a summer in a leadership position, you might want to look at the job description for this exciting new position. It’s a position that requires proven experience, superior organizational skills, attention to detail, a love of teaching and inspiring girls, and excellent verbal and written communication skills. This is a special area of volunteer service open only to Camp Alleghany for Girls alum who are over the age of 25 and who do not have a camper attending Mini Camp during the summer of your service. Our Facilities Team includes the Green Team, Kitchen staff, and Housekeeping. The Green Team is comprised of heavy-lifters…literally. You must be able to regularly lift 50-100 pounds, be on your feet for long periods of time while out-of-doors, and work with a sunny attitude to keep the facilities at Camp Alleghany for Girls working cleanly and efficiently. At the same time, it’s a great team, full of camaraderie and fun! Kitchen staff attend to meals both in our Dining Hall and for picnics and special events. Housekeeping staff keep common areas and facilities clean and perform other light site cleaning duties. Our support staff comprises a range of positions, including medical staff (weekly doctor and nurses), managing the store and post office, managing the Hoppers (wait staff), barge lifeguard, nannies, and more. Often these suit applicants who would like to return to camp but cannot make an all summer commitment.